I am still thinking about so many things walking into the start of my week after a full Saturday and Sunday at the GAFE Summit in Vancouver. New ideas of what is possible in education have caused me to reflect on how I want to be doing more. It is invigorating and life giving to be part of a community that is dedicated to changing education. The community has realized that educational reform is going to take a willingness to share and work together. I do feel like every person that attended the GAFE conference walked away with something- a new paradigm, techie trick, or new contact. This weekend, I was reminded that sharing and telling stories are at the centre of building communities and generating momentum for change. I was able to learn many new features like: 2 -click collaboration functions with GoogleDocs, Chrome extensions like bit.ly, save as PDF and save on GDrive, and various add ons (Doctopus and Goobric) to use in Google Spreadsheets among others found here . There were useful videos and analogies and websites and presentations galore. There was so much that was useful that it was somewhat overwhelming. As a framework, the two days had current topics of technology integration, digital citizenship, and educational change that served as appropriate bookends at the breakout sessions. It served as a confirmation to the direction and ideas I am sharing in my district. Beyond the content, the conference offered a community of people who were willing to share and tell stories. It was this immersive experience that caused me to think deeper about my own actions and purposes. The reunions with close friends, shared experiences with new colleagues, or new connections with people who shared the same passions are what I will carry long beyond the conference. In fact, the reason I continue to return to Twitter and attempt blogging is the relationships that are created which have the power to challenge, support and inspire me to do more. If Twitter were just a place to broadcast myself, it would have died for me long ago along with Facebook. The first keynote in the first morning given by Dr. Yong Zhao, (@YongZhaoUO) . What stuck with me the most was his presentation style, as he presented from his iPad camera roll. It was fluid, dynamic, and captivating, as he thematically connected ideas through visual analogies. There was no flashy tool, animation, or software. He knew where the images he wanted to speak to were, and in a tap and a flick, he had his next big idea as a chart or image. He was storytelling. 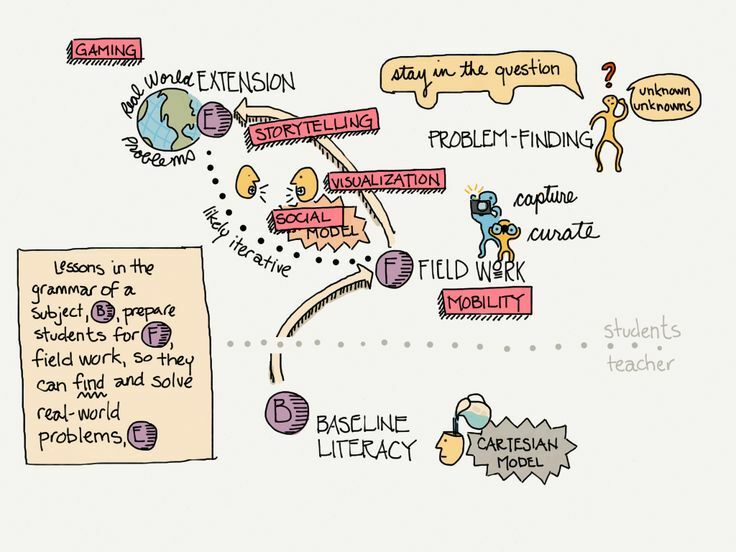 In a similar vein, Brad Ovenell-Carter (@Braddo) shared his ideas of student generated content and knowledge in another session through the use of building a visual story called a Sketchnote. Sketchnotes definitely were the buzz throughout the conference on social media and within the sessions, and I think it was rooted back to the fundamental desire for telling stories and the connecting of ideas. In both cases, Dr. Yong and Brad made it possible to visualize their points while I was listening to their explanation of their perspective. I am finding that the bulk of my job should be about sharing ideas and telling stories, and after attending this conference I am inspired to do more of that. I feel like I have been continuing to collect reflections and resources, and now I will strive to share what I have through effective storytelling. Thank you @MsVictoriaOlson for being relentless in the pursuit of innovation and for being an ultimate early adopter. For your great session on #geniushour – here and awesome back channel on Googledocs here. Thank you @paulkellybc for being a great sounding board and listener, book recommendations, and for the laughs. Thank you @dpoe68 for being willing and excited to share your experiences of Google Apps for Education in High School. Thank you @LS_Karl for introducing yourself across the room at your own session, I was honoured! Thank you @gmbondi for being an inspirational and articulate writer who encourages me to read more. Thanks for being willing to chat. Thank you @tmith4205 for diving in and taking it all on, and getting excited for the new frontier. Reblogged this on EdTech Mentorship Network.